The NavLab meet the need of the population to better understand daily objects, whether it is to be able to repair, modify or even build them. To this "consumer" dimension, the NavLab adds a "maritime" specialization, with the objective of helping projects connected to the sea and its environment. At the NavLab, you will find a set of services and tools to help you, wether you are a professional, an amateur hobbyist, or a regular "do-it-yourselfer", to realize all sorts of projects. 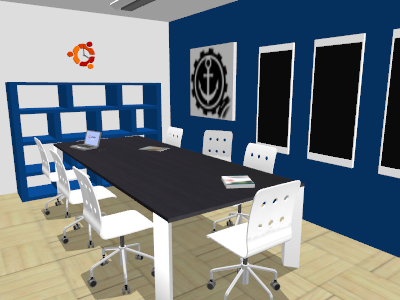 The activity center of the NavLab is the Workshop, a meeting place where all ideas start. The workshop is equipped with regular tools, allowing to work with electronics, computers or carpentry. 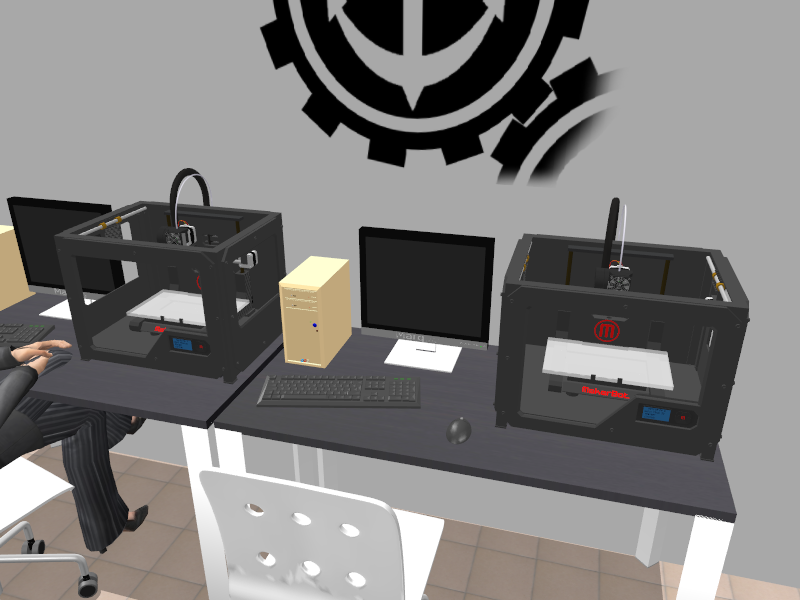 The workshop will also be equipped with two 3D printers, for digital manufacturing of small plastic parts. Are you tired of working on your own at home? Are you coming to the area and looking for a welcoming place to settle down with your laptop while waiting for your meeting? 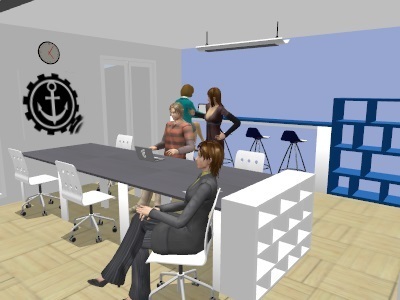 For people looking for a quiet place to work (such as professionnals on the way, start-ups founders etc...), the NavLab will offer coworking offices, with a WiFi Internet connection and all the necessary comfort to work! Have you just had an idea? Do you feel the need to share a hot topic with the community? No worries, the NavLab meeting room is available, and can welcome up to 7 people. The meting room will also be housing the numerous trainings offered at the NavLab. 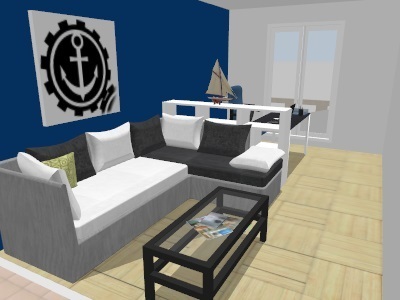 A sofa corner to chill out and chat around a cup of coffee, a kitchen to heat your lunch ans share a friendly meal among a welcoming community, this is the NavLab spirit! 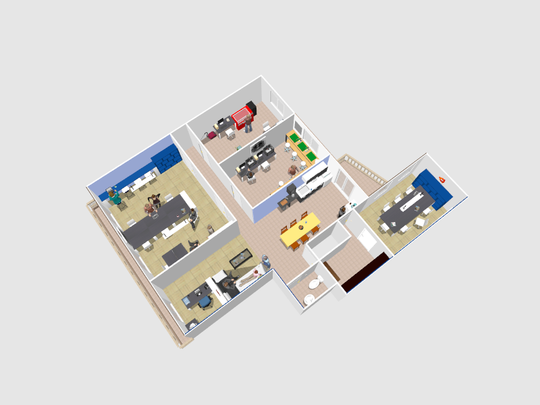 This what the NavLab could look with your help! After studying mobile robotics in Toulouse, Bruno worked for a company specialised in audiovisual systems integration. He was quicckly envolved as project manager of the intallation of the audiovisual, IT and electronics systems of luxuy yacht MY Sarafsa II (82m), beeing built at the naval shipyard of Devonport in Plymouth (UK). After 4 years spent to work on this 3 million euros project, and once delivered, Bruno joined the luxury yacht MY Ice (90m) as onboard AV/IT engineer, and then the luxury yacht MY Ecstasea (86m) as Lead ETO (Lead Electro-Technical Officer), working there for more than 3 years. While sailing around the world onboard this ship, Bruno understood the potential in opening a fabrication community workshop, specialised in yaching, and the great possibilities offered by digital manufacturing for this industry. After 3 years of onboard service, Bruno decided to launch the NavLab project in Antibes, world second mostly visited port in the yachting industry. A small gesture for great ideas! Even the smallest contribution means much more than a few euros! It is proof that, beyond words, you are willing to contribute to the project and bring your support. And that means a lot to us... so THANK YOU from the botton of my heart! The NavLab project requires a fair amount of money to start: rent, tools, layout and furnitures, wages, medias... all this has a cost! Without diging down to the details, let's just say we have included a 3000€ crowd funding participation whithin our budget plan. We are eager to get these 3000€ being collected through our KissKissBankBank crowdfunding campaign to launch the NavLab thanks to your support !! The secondary objective of this campaign, is to make the project even more credible thanks to your support. To convince more banks and institutions, we would like to see at least 200 people contributing (even with only a few euros). Thanks to you, we will be able to tell everyone "Yes, the NavLab is a going concern". A maximum of "share" - to let the world know about the project! Don't forget to share the campaign to your contacts as well. Apart from the vital financial side of the campaign, it is also a great opportunity to communicate about the project and let everybody know what we are doing !! "SUPPORT" Your participation will help us to launch the project. Your name will appear on our KissBankers list on the NavLab website. Thank you! "POCKET FAN" A nice key holder drawn by designer Loreneo Negri and printed with our own 3d printers, so you can bring a bit of the NavLab with you ! Your name will appear on our KissBankers list on the NavLab website. 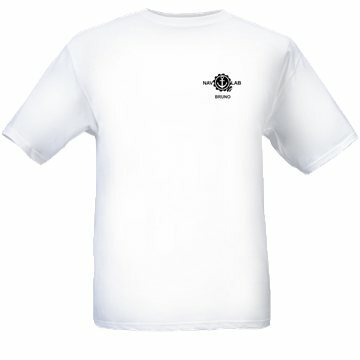 "FAN" Be the first to wear a personnal NavLab T-Shirt to support the project! Your name will appear on our KissBankers list on the NavLab website. "DISCOVERY" Come to the NavLab for a discovery afternoon with our FabManager and get introduced to the use of all the tools available in the workshop (3D printer, laser cutter, CNC miller...). "SUPER FAN" A customized "NavLab" T-shirt and a "NavLab" key holder drawn by Italian designer Lorenzo Negri, for even more fan-attitude ! Your name will appear on our KissBankers list on the NavLab website. "APPRENTICE" Help to buy our CNC miller and engrave an object of your choice (pendant, lighter...) using the machine you contribute to buy! Your name will appear with the name of other contributors on the side of the machine. Your name will appear on our KissBankers list on the NavLab website. 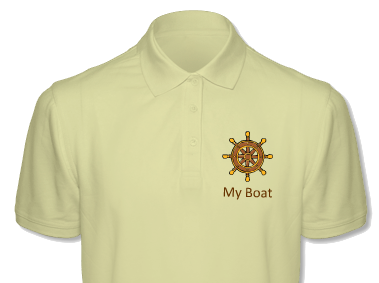 "CREW" Give a polo to your crew, wearing the emblem and name of your ship embroidered with our digital sewing machine. Your name will appear on our KissBankers list on the NavLab website. 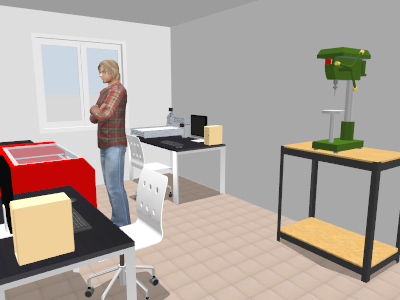 "COLLECTOR" Help to buy our laser cutter, the must of every FabLab! Your name will appear with the name of other contributors on the side of the machine. Your name will appear on our KissBankers list on the NavLab website. 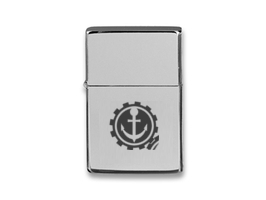 You will receive a personalized NavLab key holder, cut and engraved by the machine you contribute to buy! "DECKIE" You like what happens at the NavLab and you want to participate to events and trainings. You intend to come from time to time and share with the community. Get a 25% discount on the yearly subscription to join the community. The subscription includes one day of workshop access per month, and a 50% discount on the other days. Your name will appear on our KissBankers list on the NavLab website. "SPONSOR" Become an official sponsor for the NavLab during a year. your name or logo will be on display, with a link to the webpage of your choice, on the sponor page on our website and on out sponsor board inside the NavLab. Your name will appear on our KissBankers list on the NavLab website. "PIONEER" You are a true adventurer, ready to rise a challenge and grow with the NavLab from its humble beginning! This launch offer will allow you to access the NavLab everyday during its first six months of activity. 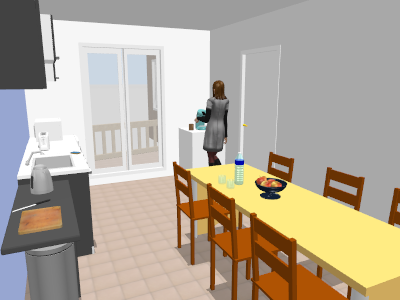 Be part of drawing the layout of your future space, and benefit from a special 50% discount on all digital tools during 6 months!!! You will also be granted of a special "I believe" NavLab T-Shirt, (only for those who really believe in it!) and your name will appear on our KissBankers list on the NavLab website. 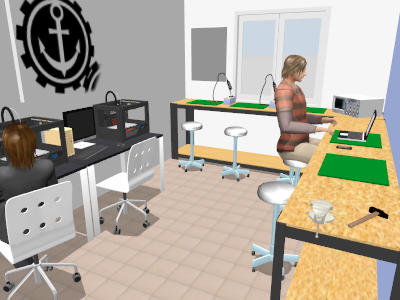 "PATRON" Place yourself as a NavLab's benefactor by fully funding a 3D printer to be installed in our workshop. Your name or logo will be on display on the machine we bought thanks to you, high above our KissBankers list on our website with a link to the website of your choice, and on the roll of honour inside the NavLab.